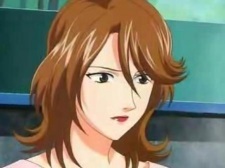 Sister to Yuuta and Syusuke, Yumiko is the oldest of the Fuji siblings. She is very accurate when it comes to tarot, and she does it the night before Syusuke plays a match. At first, she "appears" when she offers to give Syusuke a ride home as he is walking back from school, but her face is never shown until the Kirihara vs. Fuji episode.